No matter the season, year, or decade, hair accessories are always in fashion. 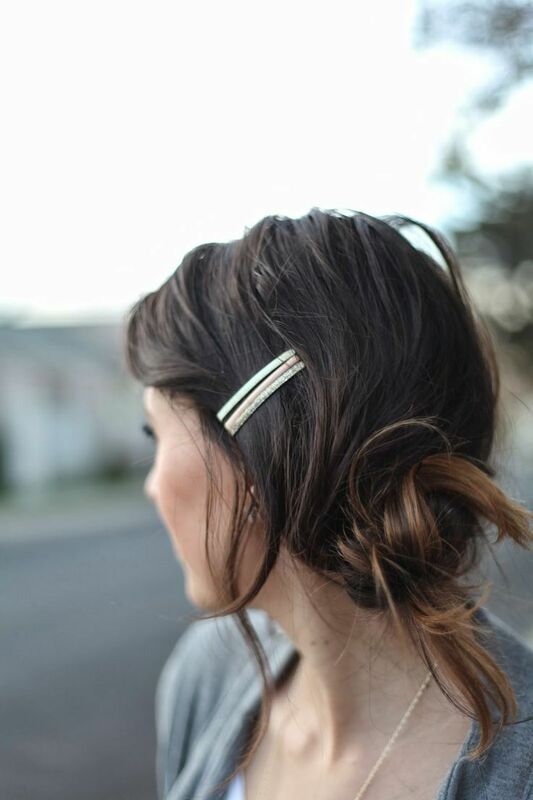 Hair accessories are fun, easy, and can add a little spice to your style with minimal effort. I've gone ahead and picked out some of my favorite accessories that can work for anyone, at any age. Try some out for yourself this summer. Do you remember those brightly colored metal and plastic hair clips every girl wore growing up? Those clips and barrettes are still trendy today if you steer clear of the plastic rainbow ones. A lot of stores carry simple metal clips that can be layered and positioned to add some flavor to any style. Personally, I like the long, thin metallic ones shown below. Skipped your morning shower and decided to just throw your hair up instead? That's okay! Just clean up those roots with some New- Do Dry Shampoo and add a hair cuff to your pony tail holder! This allows you to add some flair to a normally simple pony. You can find them online or in your local trendy boutiques. My personal favorites are wooden and metal because it contrasts the softness of your hair. Some even how the elastic holder built in (isn't that convenient!). My favorite retro style accessory HAS to be the scarf. Adding a bandana or brightly colored scarf to your up-do can add style and class to any casual outfit. I love this look because it helps to tame my hair on particularly unruly days. It's also super simple, just wrap the scarf around your head and tie a knot of the top of your head. If needed, secure the scarf with bobby pins. Throw on some red lipstick to complete your 50s pin-up goddess look! Who said bows were just for little girls and presents? It's the perfect addition to your preppy style! Bows are everywhere! They are one of the easiest accessories to find. 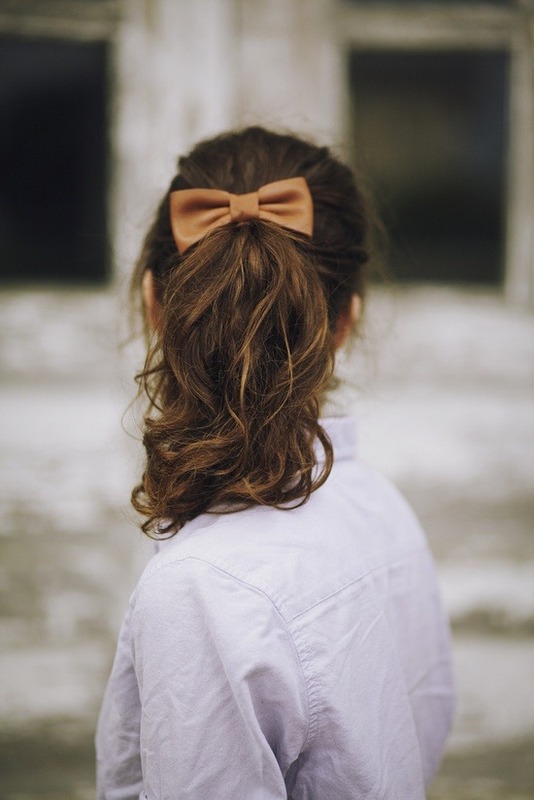 The key to introducing a cute bow to your style is simplicity. Try to avoid crazy patterns, large size, or multiple loops. Stick to simple colors and structures. I suggest placing the bow right above your pony tail like the example below. This simple accessory has probably been used by almost every woman at least once in her lifetime. Not only is the headband extremely efficient at keeping hair out of your face, but it can also be super stylish. Be sure to ditch the heavy plastic and go for metal or cloth headbands instead. Headbands are super versatile and can be worn with hair up and down. 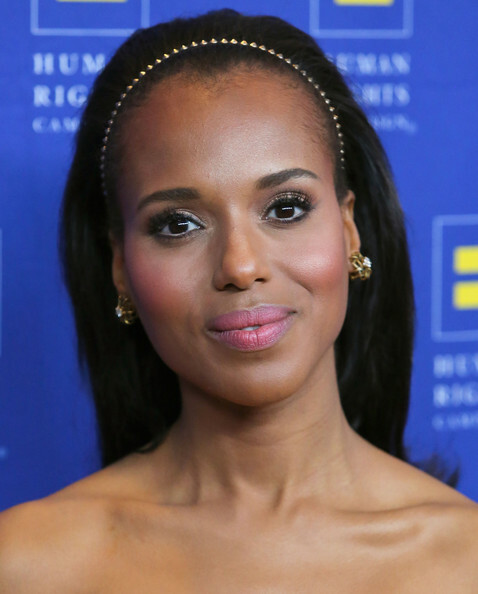 The lovely Kerry Washington pulls it of beautifully, so you can too! Show us your favorite hair accessories by using the hashtag #Truhair on Twitter and Facebook!